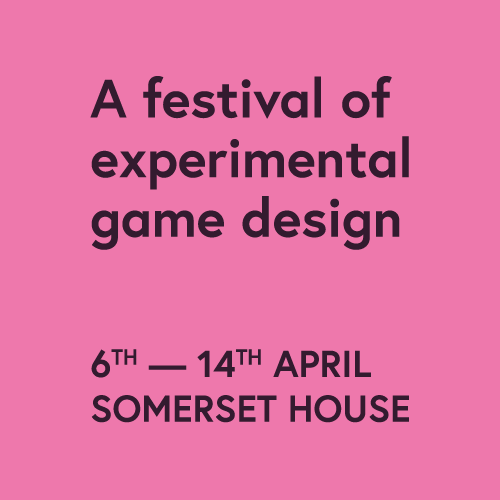 "Now Play This is a showcase of surprising gaming delights"
Now Play This is a festival of experimental game design running at Somerset House in London from 6-14 April 2019, showcasing interactive and playful work as part of the London Games Festival. In 2019 we'll be looking at games that relate to our theme of community and communities. Expect everything from quiet reflections you can sit with, to colourful installations that get people playing together. "The popular weekender brings the best of experimental game design from around the globe"
Now Play This is put on by Festival Director Holly Gramazio, Assistant Director George Buckenham, and Producers Sophie Sampson, Jo Summers and Nick Murray.